The idea came to Robert Louis Stevenson in the form of a nightmare, according to his wife Fanny, and the first draft took only days to complete. Afterwards, she read the manuscript. As usual, she gave Robert her comments. After a while, he called her back to the bedroom and pointed to a pile of ashes: he had destroyed the manuscript and would start all over again from scratch. The story would eventually become The Strange Case of Dr. Jekyll and Mr. Hyde, one of the most celebrated stories of all of English literature. This is a glorious set-up for a story, and all of its potential is exploited. The novel is divided into three parts (as well as an introduction and an epilogue). Each part chronicles the manuscript’s journey from one owner to another, done in reverse chronological order. The most recent owner is a notorious real-life poisoner, and the hunt for him forms part I of the novel. Part II concerns itself with another set of crimes, committed by someone else. And in part III, we meet the most famous owner of the manuscript, someone better known by his nickname: “Jack the Ripper”. That’s right, this is Reouven’s contribution to the Sherlock-Holmes-meets-Jack-the-Ripper lore, and this one sets the unquestionable gold standard. 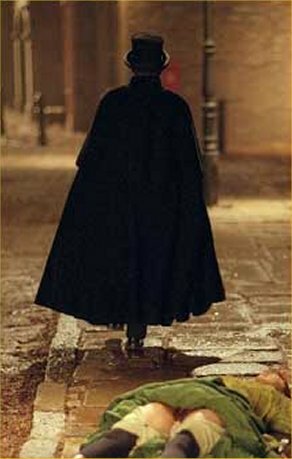 This is the best (fictional) solution to the Ripper murders that I have ever come across: to be as brief and spoiler-free as I can, it explains everything. Jack the Ripper’s identity is a genuine shocker, and it’s just one of the delights of this novel. There’s even a last-sentence twist that is absolutely delicious for those who know their apocryphal-Conan-Doyle-anecdotes-which-may-or-may-not-be-true. 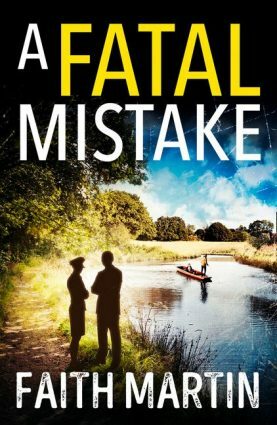 Part of the fascination with this whole novel is how it intertwines a whole set of real-life crimes together. There is an element of fictionalisation in the tale, but Reouven handles it so skillfully that I could not tell where history ended and where fiction began. 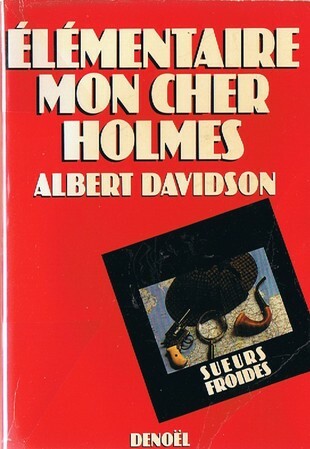 One thing is bizarre about this novel, especially for Sherlockian literature: Holmes himself never appears. He is just a fictional character on a page. And yet without Holmes, this novel would have been impossible. This neatly ties in to the idea of a manuscript turning people into murderers. This forms a theme central to the book: fiction has the power to change our lives. And just like Stevenson’s book has turned people into murderers, Holmes inspires people to take up his mantra and solve real-life crimes. Our main viewpoint character is the man who (according to Adrian Conan Doyle) inspired Dr. Watson, and he plays a role very similar to the one Watson might have played in a straightforward pastiche. It all comes together at the end, where everything adds up and makes sense. It might not seem like it at first glance, but Elementary, My Dear Holmes is very much a part of Holmesian literature. In fact, it has redefined the standards for me. I think this is the very best Sherlockian book I’ve ever read. It manages to do everything right. It exploits all the possibilities of the Victorian Age, and in it we finally find out the truth about the greatest unsolved case of all-time. The suspense is wonderful. The settings are colourful. The plot twists and turns and surprises you every time. And although Holmes himself never appears, he is vital to the plot, to the point where readers unfamiliar with the Canon will be at a disadvantage when it comes to determining the murderer. Elementary, My Dear Holmes is quite simply a masterpiece. 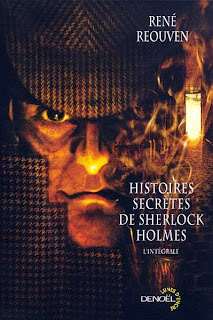 Anyone who loves Holmes and speaks French needs to read this novel. Note: The novel was originally published in 1982 under the penname “Albert Davidson”. The theory behind this move was that a book published under an English-sounding name would sell better to the French public. René Reouven’s second name being Albert, and his father’s name being David, the penname “Albert Davidson” was coined. I'm glad that you enjoyed this book, Patrick. It's one of Reouven's masterpieces - the other two being "The Stolen Detective" that you reviewed yesterday and the non-series "La Raison du Meilleur..." which I urge you to find and read as soon as possible. Darn. Your review had me hooked. Unfortunately, for me, I am restricted by my English only ability in reading.